Kriva Palanka is settled on the course of Kriva Reka in north-eastern part of Macedonia. It's the seat of the Kriva Palanka municipality. According to the 2002 census, the Kriva Palanka had 14,558 inhabitants. Kriva Palanka lies on the northern slopes of Osogovo mountains, at an altitude of 640 metres above sea level. 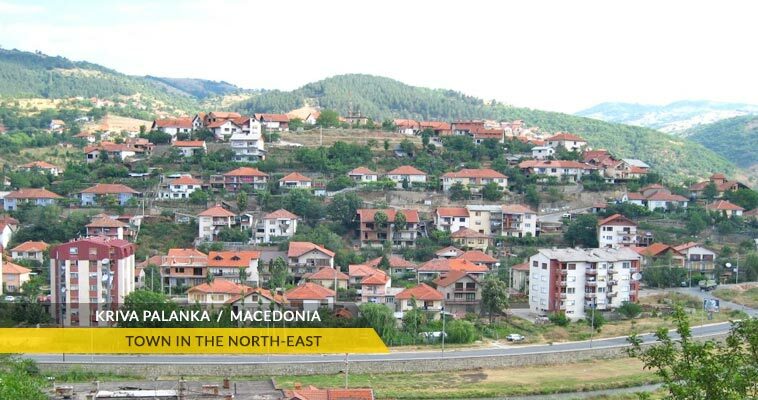 The unusual name of the town comes from its position on the banks of the river Kriva. At first Kriva Palanka used to be called Egri Dere (curved river in Turkish). Later, the word Palanka replaced the word Dere. Kriva Palanka is located 13 km from the border with Bulgaria (Deve Bair or Ramna Niva) on the E-871 route (Kumanovo - Sophia). The main road which connects Kriva Palanka with Kumanovo (60 km) and Skopje (99 km) is passing by the mountanous town. The most known industrial products that the Kriva Palanka region is represented in the home markets are: wood products (quality furniture), as well as agricultural (potato, wheat, barley, rye, corn and oats). 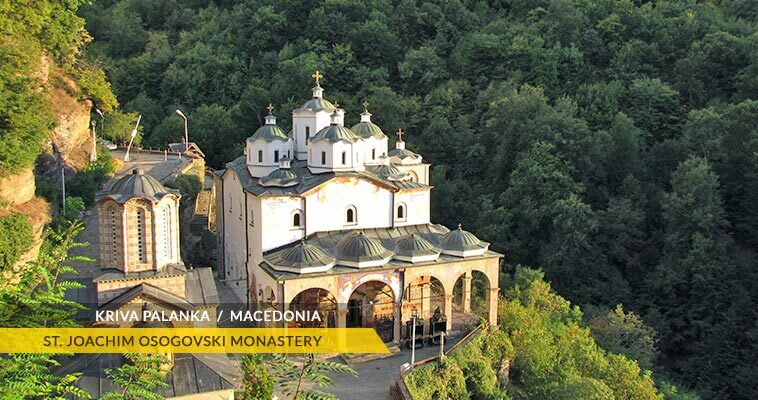 Apart from the well-known Monastery of Saint Joakim Osogovski, famous for its beauty and importance, there is also the Monastery Church of St. Nikola near the village of Psaca, which is an area full of hundred-year-old oak trees. Kriva Palanka is host of the Art Colony Saint Joachim Osogovski and the Summer School for Architecture, an important events in Kriva Palanka municipality. The climate in Kriva Palanka and the region is mildy-continental, with mildy cold winters and mildy warm summers. The average temperature is 10,2°C. During the year the warmest month is July, with an average temperature of 20°C, while the coldest month is January, with an average temperature of -0,3°C.